Founded in 1970, ACCESS Destination Services sets the standard for excellence in award-winning destination management services in North America. We are your single source for everything from creative program design and unique special event production, to transportation logistics, corporate social responsibility programs and recreational activities. With national reach and local expertise, ACCESS will meet your objectives and exceed your expectations for corporate, incentive and association groups. At ACCESS, we don’t just focus on what we do – but WHY we do it. We believe in the power of shared experiences that bring people together. Shared experiences create the opportunity to both inspire and be inspired and inspired people drive organizational success. ACCESS combines the knowledge and intimacy of a local, owner-operated destination management company (DMC) with the diversity and efficiency of a 45-year strong global brand. Amstar Meetings & Events has been providing award-winning service to Groups and Corporate Events for the past 15 years, with a knack for matching the right venue, location or event to the unique needs of any group. In 2017 alone, Amstar Meetings & Events successfully served more than 1,100 Group Programs and 150,000 attendees. Our team is composed of people from more than 20 different nationalities, including many active members of SITE, MPI, FICP and PCMA, who proudly serve a global client base. Our operational capabilities, attention to detail and destination expertise turn great events into memorable experiences. Mexico has everything: world-class hotels, modern convention centers, unforgettable excursions, friendly people, breathtaking beaches and highly-developed infrastructure to deliver top-notch meetings, events and incentive programs. Whether your event takes place in Mexico City, Guadalajara, Cancun, Riviera Maya, Los Cabos, Puerto Vallarta, Cozumel, Huatulco, Ixtapa or Acapulco, the Amstar touch will be there for you! Contact us now and let’s organize your next corporate group today! Award-winning total destination management company. Meetings, incentives, special events, transportation, unique tours, voluntourism, team building, décor, entertainment , VIP services and beyond. WBENC and ADME certified. Member of MPI, SITE, FICP, ISES, HCEA and PCMA. Hands-on attention to detail matched with superior service. Benchmark Destinations will deliver a professional, organized, memorable and impressive program to you and your guests while maintaining integrity, quality, detail and value. With in-depth knowledge of the local landscape, global experience in hospitality, and a people-oriented approach, our Benchmark Destinations team is committed to ensuring that every detail of your program is handled at the highest level. Established in 1999, Connect DMC is a full-house DMC specializing solely in Meetings, Incentives and Event Organization with certifications such as CMP, DMCP, CIS, CMS. They handle over 250 complex programs a year from 20 to 3,000 pax and are renowned for offering a personalized and hands-on service in the Dominican Republic. Connect DMC guarantees your program will be both successful and exciting with an entire dedicated team. Famous for its know how, creativity, professionalism and local contacts, they understand the value of the follow up that is required on a group operation. Their attention to the detail is what has distinguished them with awards that prove their cultural understanding of the area they reach. 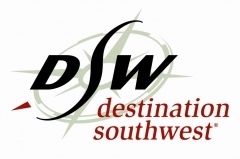 Destination Southwest specializes in the design and implementation of all logistics, activities, tours, on- and off-site events, and transportation for conventions, corporate and business meetings, and incentive travel. Our destination management services are unique and tailored to each client’s needs and objectives. Destination Southwest will make sure that every element of a program is handled in the most professional, creative, and cost-effective manner. From airport meet-and-greets, group transfers and shuttling, theme events and activities, custom tours and dine-arounds to registration, team building, program development, staffing, unique gifts, spouse programs, and day-trips, we are there for you. Destination Southwest is a full-fledged partner in any event! Destinations Services of Santa Fe, LLC (DSSF) is the leading Destination Management Company (DMC) in Santa Fe, providing detailed destination management and consulting services for special events, corporate functions, and group activities. DSSF has a strong reputation for creativity and client services. Throughout the city, hotels and suppliers both know that we demand a high level of service. We do this for you, our client! DSSF's primary focus remains customer service. We understand that you have a meeting to run, so let us take the hassle out of the rest of the details. This is a brief sampling of the tours, recreational activities, locations for off-site receptions and dinners, and other services your group may be interested in while they are in Santa Fe. We believe Destinations Services of Santa Fe, LLC is your premiere choice for destination management in Santa Fe! DoubleDutch is an award-winning provider of mobile event applications, with a unique focus on capturing and surfacing data from live events. The first to bring a data-driven technology approach to the event industry, DoubleDutch excels at processing vast amounts of mobile app engagement data into unique, actionable insights so event planners can better serve customers, partners, and other event stakeholders. Hello! Destination Management partners with you to enhance your client's destination experience. We accomplish this by first learning about your meeting objectives. Then, we make recommendations to help you meet your goals based on our knowledge, experience and the relationships we have in each of our destinations. We make working with us easy and we ensure the end result is flawless. Hello! consists of Hello! Arizona, Hello! Las Vegas, Hello! Florida, Hello! Washington D.C. and coming soon Hello! Texas (opening fall of 2013). We provide complete event management for transportation, offsite and onsite events, entertainment, tours and activities, teambuilding, golf events, dine arounds, hospitality staff and gifts. Working through GlobauxSource's National Sales Contact for any Hello! lead makes it easier for you. Please contact Valerie Hershiser, CMP, DMCP, at vhershiser@hello-dmc.com or 407.876.8484. Attached is a flyer with Hello! 's complete listing of destinations, services and details on how we work with GlobauxSource to make you look good to your clients. Hosts Global Alliance (HGA), formerly USA Hosts Alliance, is a worldwide consortium of select Destination Management Companies (DMC) currently representing over seventy destinations globally, servicing all seven continents. We believe that every destination holds the promise of an inspiring experience. Hosts Global Alliance delivers on that promise with unparalleled service, fresh thinking, and a global network of local experts. With over 50 years of experience, we provide superior solutions to clients searching for singular service, delivering on their business objectives. Global Reach. Local Experts. HGA provides a full-service approach for customers planning group programs in the meetings, conventions and incentive industry for corporations, associations, meeting management and incentive travel companies. Hosts Global Alliance Members are dedicated client-focused experts in their destinations, offering the meeting planner a wide range of services for all program needs. Whether producing inspiring tour programs and activities, imaginative special events, orchestrating transportation logistics, creating themes and concepts, décor, CSR programs or venue selection, there is a Hosts solution. Every time. Everywhere. Since 1973, Intercontinental Travel Company (ITC Italy) has been Italy’s premier destination management company. Founded and still lead by Mr. Vittorio Marsiglio, ITC Italy is a single source for all of your travel needs in Italy. We provide luxury travel services throughout the country for discerning groups and individuals. Our services include: hotel selection and bookings; professional itinerary guidance; deluxe, private transportation; professional guides; museum reservations; wine and cooking lessons; and much more. As one of the largest DMCs in Italy, we enjoy buying power, which we are pleased to share with our clients. ITC Italy’s knowledge, experience and relationships throughout Italy are unrivaled, while our proven track record with clients in all industries is incomparable. With offices in Italy and the US, we are able to serve our clients in the best and most efficient way possible. We hope to have the opportunity to make your dreams come true in Italy one day soon! A full service Destination Expert company, we provide professional services to our customers. What makes MIE-Meeting Incentive Experts different from our competitors is our attention to detail during the execution of your program, and our offices in the USA and Mexico. Our greatest asset is to have EXPERTS in each location who have worked in the business in both destination management services and for Hotels and Resorts with extensive leadership skills. We use our knowledge and connections in Mexico as an advantage for your program. Adam Lawhorne, CITE, CIS our CEO, has been in the business for over 20 years. His experience also includes being a past Society of Incentive & Travel Executives (SITE) Chicago Chapter President, and he is an active member of the Mexico Tourism Board of Directors. Platinum DMC Collection is the North American Sales Office for the World's Leading DMCs - an elite selection of international Destination Management Companies. Every Platinum DMC is and independent, owner-operated DMC with the highest standards in the industry. Knowing their destinations inside and out, each DMC works closely with clients to tailor-make programs that meets the precise group requirements. From the ordinary to the extraordinary, a Platinum DMC Collection partner insures a successful and memorable group travel experience. Rare Indigo is a full-service Destination Management Company in British Columbia and Alberta Canada. Founded in 1993, Rare Indigo has grown to be well respected in the destination management industry. Led by Vivian Farkas Tsogas, President and Owner since 2004, the company continues to thrive. Twenty-three years ago, Rare Indigo was founded on a vision to provide customized experiences for top level incentive clients with a highly creative and inspiring approach. With a passion for our destinations and high level of service expectation, Rare Indigo quickly became known for its creativity and collaborative style. This vision and essence continues to be at the heart of Rare Indigo today as we embark on Designing the Remarkable for our clients.